Over the last decades, Samsung Electronics has been regarded as a “fast-follower” following leaders in technology businesses that the outfit is involved with. As Samsung is still heavily dependent upon quite cyclical and more volatile component businesses, conventional thought was that Samsung isn’t positioned to produce “wow” products that can shake up the market. Mentioning Samsung’s indisputable position ― top suppliers in memory chips and flat-screens ― Samsung was being treated as just a trusted parts supplier guaranteeing on-time delivery, better pricing and output commitment. South Korea wants to become an official member of Euro Star 2, Europe’s largest research and development program, the Seoul government said Tuesday. Euro Star 2 is a joint R&D program run by Eureka, a network of 40 countries, mostly European, for the development of industrial technologies. 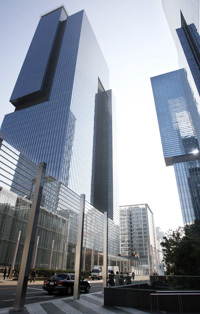 South Korea joined Eureka as an associate member in 2009, becoming the first non-European country in the 40-member network, according to the Ministry of Trade, Industry and Energy. South Korea and Eureka have annually held a special forum since then, with this year’s event set to be held in Istanbul, Turkey from Tuesday. The ministry said the country and Eureka were set to hold unofficial discussions on the sidelines of the three-day Korea-Eureka Day for South Korea’s formal membership in the Euro Star 2 program by 2020. South Korean institutes have taken part in 41 Euro Star projects, worth 22.7 billion won (US$20.3 million), since 2006, according to the ministry. A group of South Korean scientists has developed a new transparent and highly flexible memory device using graphene electrodes that may help develop a new, more flexible semiconductor or display panel, the science ministry said Wednesday. Currently, graphene is used only for the top electrode of monolayers in various products, giving them some flexibility, according to the Ministry of Science, ICT and Future Planning. The team from Seoul’s Sungkyunkwan University, however, was able to use graphene for both the top and bottom electrodes of a monolayer for the first time in the world. The use of graphene for the bottom electrode was made possible through a chemical union of the bottom electrode with the molecular film of organic molecules placed between the two electrodes, the team said. South Korea will launch its first radar-equipped Earth observation satellite capable of providing images in any type of weather condition, in an important step in developing its commercial space program. The Ministry of Science, ICT and Future Planning announced Thursday that the satellite KOMPSAT-5 is scheduled for lift off on Aug. 22 from a Yasny launch base in Russia. KOMPSAT-5 is the country’s first SAR or Synthetic Aperture Radar satellite. The country’s three previous Earth observation satellites use high resolution cameras, but the SAR satellite uses radar to monitor the Earth. The KOMPSAT-5 will operate at an altitude of 550 km in a dawn-dusk orbit, a type of orbit set up so that the area of Earth directly below the satellite is always just in daylight ― either at dusk or dawn. It will conduct all-weather and all-day observations of the Earth during its five-year mission. South Korea on Tuesday unveiled its first vehicle partly fueled by ammonia, an alternative to fossil fuel that produces no greenhouse gases. The vehicle, developed by the Korea Institute of Energy Research (KIER), uses a mixture of ammonia and gasoline that is 70 percent ammonia, which reduces the car’s emissions of carbon dioxide by up to 70 percent, according to the Ministry of Science, ICT and Future Planning. Ammonia is a compound of nitrogen and hydrogen, which produces only the two materials and no greenhouse gases when combusted. Developers from KIER also said the car may be a better option than other clean-energy vehicles, such as a fuel-cell electric vehicle, which also produces no greenhouse gas emissions, as ammonia is much more stable than other liquid fuel. Samsung Electronics is set to reinforce its strategy to obtain contents including games for its smartphones and smart TVs. As part of moves to strengthen its smart ecosystem in the long term, Samsung seeks to differentiate its smart devices from other brands by securing excellent multi-platform contents and apps. Building on its hardware competitive edge, Samsung is pushing for raising the competitiveness of its software. It aims to juice up its mobile market Samsung Apps and to attain multi-platform contents that cover smart TVs and the open-source Tizen operating system. To that end, Samsung Electronics has recently recruited software expert Kim Kyu-ho in order to give impetus to its game business. Kim Kyu-ho, who used to work for NHN and NCSOFT, will take charge of Samsung’s game business at the MSC (Media Solution Center). The South Korean administration under the leadership of President Park Geun-hye will be presenting an outline of its second national energy action plan in August this year. The national action plan is the highest-level plan that sets out energy policies for the next five years in consideration of the following two decades. The second version will publicize the share of nuclear power generation out of total energy mix for the first time, which has recently emerged as a hot potato issue. “A working-level group will be created this month to develop the second national energy action plan,” said a senior official at the Ministry of Trade, Industry, and Energy (MOTIE). The outline is drawing keen attention from the power generation industry and environmental groups as it reveals the government’s stance on running nuclear power plants over the mid to long-term. The government had said in its first action plan it would raise the share of nuclear power to 59 percent of the nation’s total energy mix by 2030. The government had concluded nuclear power is the realistic alternative to support green growth of promoting economy and reducing carbon emissions. To achieve the goal, the government had aimed to build a total of 40 nuclear power plants by 2030. Nuclear power accounted for 29.8 percent of total power generation last year, and thus the government has to construct far more nuclear power plants to fulfill its initial goal. The government will soon set up measures to help commercialize its space technology while also working to further develop its commercial space sector that will include the early development of a shuttle to the moon, the science ministry said Thursday. 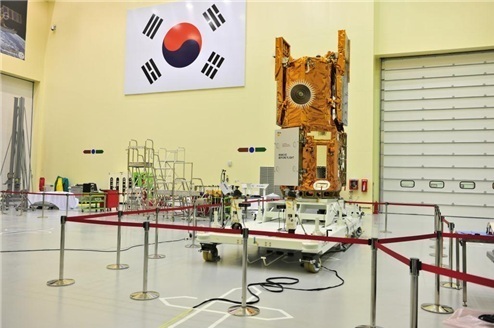 The move comes as there are only 61 private companies or research institutes developing space technologies in the country while 44.2 percent of them have annual sales of less than 1 billion won ($909,000), according to the Ministry of Science, ICT and Future Planning. South Korea successfully launched its first space rocket, the Korea Space Launch Vehicle-1, in January, becoming the world’s 13th nation to have launched a space rocket from its own soil. “The country has so far developed its key space technologies and related industry through government-led space programs, but it has yet to witness any meaningful commercialization of space technologies due to its lack of a serious space industry,” the ministry said in a press release. 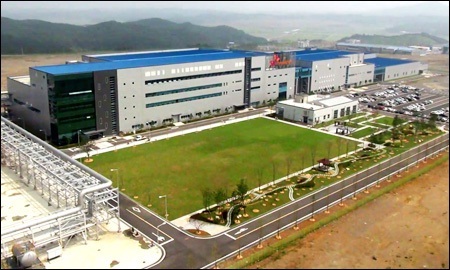 Will Korea’s battery business take off again? Korean firms are the world’s leading suppliers of rechargeable batteries, the costliest parts of electric vehicles. General Motors has a contract with LG Chem, Hyundai Motor Group procures batteries from SK Innovation and BMW’s i3 will carry Samsung SDI’s products. Although Korea does not have its own EV market yet, the slowdown in the international EV market has reverberated through the battery industry. At the same time, Korea’s dominance in the battery industry means that the recovery of the eco-friendly vehicle market will be rewarding. For now, the obvious casualty of the slowdown is LG Chem. It suffered bad publicity earlier this year when its battery cell manufacturing plant in Holland, Michigan, was audited by the U.S. Department of Energy because of allegations that the plant was left idle. Back in early 2010, the U.S. government awarded LG Chem more than $150 million for the construction of the plant, which cost $304 million. The project started with a big ambition to create more than 440 jobs and produce battery cells for 60,000 EV by the end of 2013. Because of more sluggish demands for EVs than expected, some of the plant’s employees, whose salaries are partly paid by the U.S. government, were found to have spent time volunteering at nonprofit organizations, playing games and watching movies, the report said. The report, which came out in February, dealt a blow to LG Chem’s reputation as a leading battery maker.